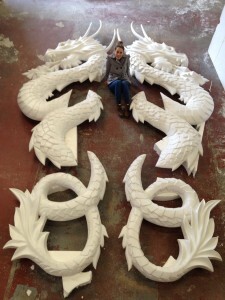 We were commissioned by TR2 to produce two 5m high dragons to use at a Theatre production. The focus point of this project was to achieve a detailed 3d effect with the depth of 15cm. Mounted on a ply wood board, we applied high density polystyrene, sculpted proportionally according supplied design, we gave dragons depth and varied scales. The two dragons mirror each other. Coated with FR polyurethane. As a finish we spray painted the dragons with primer / basecoat. 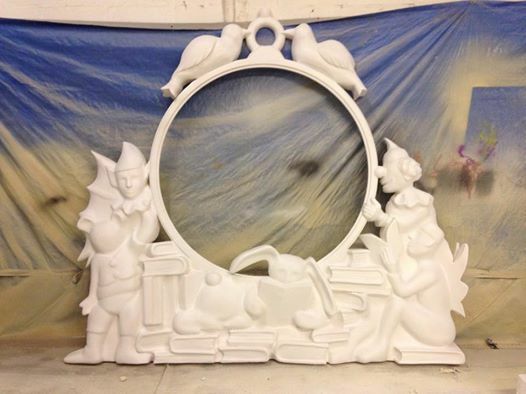 We were commissioned by TR2 to sculpt a magical scene for a giant clock with the height of 2.40m use at a Theatre production. Mounted on a ply wood board, we applied high density polystyrene, sculpted all of the magical elements, according to given design. The main brief of this project was to make the magical creatures come to life! We did this by setting a clear contrast between the hardness of the books and the soft feel of the toys. After sculpting and preparation we applied FR polyurethane hard coating. As a finish we spray painted the sculpture with a primer / basecoat. We were commissioned by TR2 to create this model. Based on sculpture figures from Another place. 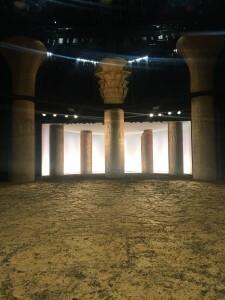 To be used in a Theatre production. Made from a male mannequin. We made major modifications on the mannequin and adjusted it to look like the sculpture. Thighs filled with concrete weight for stability. Hard coating application Polyurethane to make the item waterproof and to ensure decades of durability. To finish spray painted with primer / basecoat. 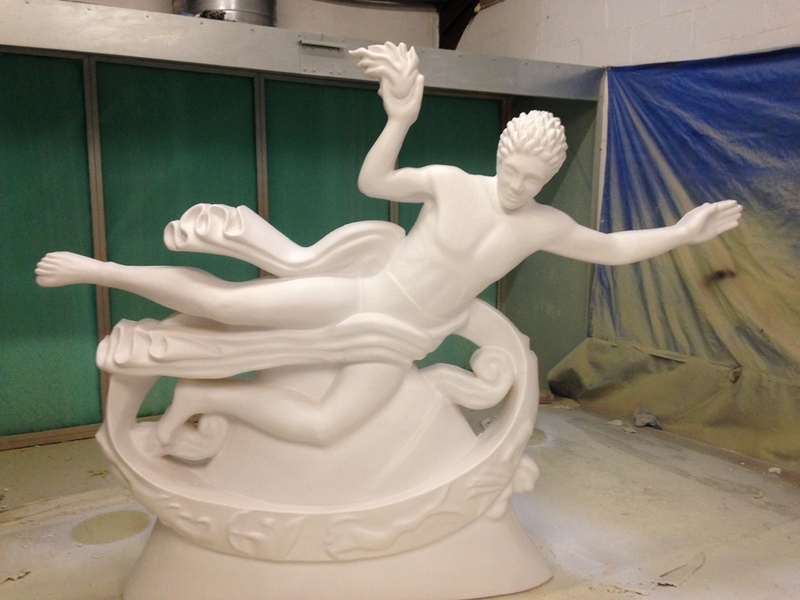 We were commissioned by TR2 to sculpt a detailed piece based on the Rockefeller sculpture in NY to use at a Theatre production. Mounted on a ply wood board, we applied high density polystyrene, sculpted proportionally according to images of the sculpture. The focus point of this project was to achieve a 3d effect with the depth of 22cm. 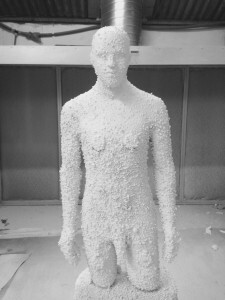 To get some movement within the sculpture was essential. We tried to capture the motions with the fabric and the contrast between the textures and smooth surfaces. After sculpting and preparation we applied FR polyurethane hard coating. As a finish we spray painted the sculpture with a primer / basecoat. 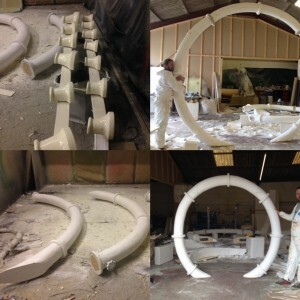 We were commissioned by TR2 to create various pieces including 3 drain rings ranging from 2.5 to 3.5m in diameter. Mounted onto supplied steel fitting, we applied high density polystyrene, sculpted proportionally according to images supplied in 3 sections for easy transport. After shaping and preparation we spray applied FR polyurea flexible hard coating. As a finish we spray painted the pieces with a primer / basecoat. Final decoration of all the elements was finished by TR2. 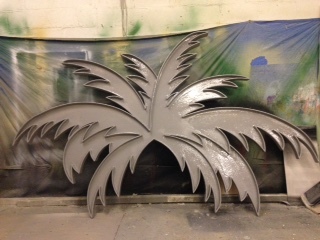 We were commissioned by TR2 to coat scenic elements they supplied us with palm trees. After preparing the surfaces and corners we spray applied fr flexible coating polyurea for a water and impact resistant result. We were commissioned by Theatre Royal Plymouth to create the top column’s for a theatre production. The 3m high top column’s were hand carved from High density polystyrene. Each consisted of an intricate outer pattern. The column’s were finished and decorated by TR2. 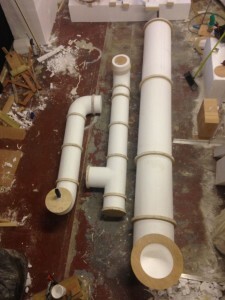 We worked with TR2 to create the giant pipes. The largest pipe is 4.5m long. Working towards precise measurements, a combination of materials were used to achieve the project such as eps, ply, steel and coating. The pipes were carved from polystyrene, detailed sections fitted. The pipes were then prepared for coating application which includes sanding / filling all the gaps for smoothing out the surface. Once prepared the custom pies were coated with Fr polyurea which is water proof and impact resistant. The project was primed and ready for decoration by TR2. We were commissioned by TR2 to create the letters. 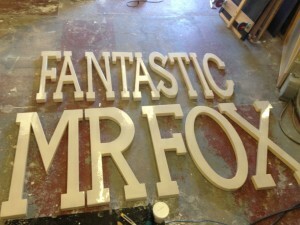 The letters were created from polystyrene, coated with FR polyurea and primed ready for TR2 to finish.